Please bring a towel, warm clothes for after the activity, sunscreen, and water. Volcanic formations with wrecks, caves, drop-offs, overhangs, tunnels, and canyons. Diverse marine fauna composed of incredible species, such as whales, sharks, rays, turtles, groupers, barracudas, and nudibranchs. An agreeable water temperature ranging between 13°C in the winter and 25°C during summertime. Transparent sea, with visibility up to 30 m (98 ft). Calm marine currents. 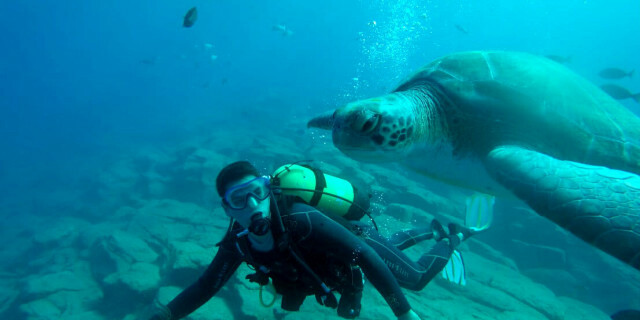 Tenerife is a unique place to dive, and it is ideal for divers of all levels, from first-timers to the more experienced. 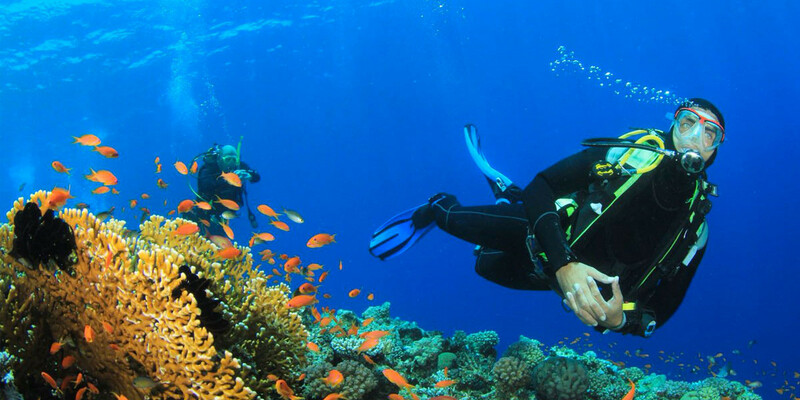 With our "Try scuba diving" course for beginners, you learn the basics of this water sport and can choose the time that suits you the best. Lessons start at 9:00 a.m., 12:00 p.m., and 3:00 p.m, and they last three hours. During the session, your PADI certified dive instructor teaches you basic scuba diving techniques and shows you how to operate the diving equipment safely. The lesson is divided into two parts. The first is a theoretical briefing focusing on safety, equipment, and appropriate gear use. After that, you go for a dive in shallow water, either in our lagoon or in a beautiful location where we take you by boat. 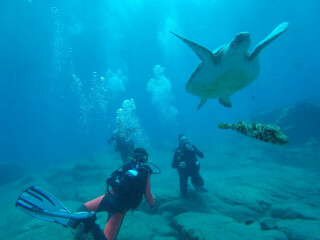 For the next 50 minutes, you explore the amazing underwater world of Tenerife in a depth of up 8 m (26 ft). But that’s not the end. 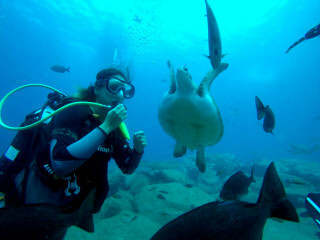 You still have time for a snorkeling session in these waters full of sea life. 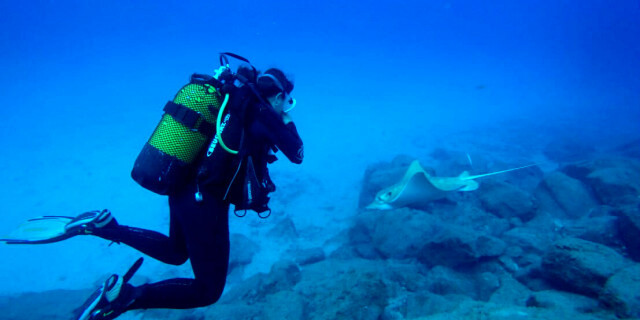 This is another chance to observe the diverse marine life of the Canary Islands, as you are in a lagoon full of diverse species of fish, rays, and turtles. And as we return to the shore, you may even be able to spot whales and dolphins swimming close to our boat.